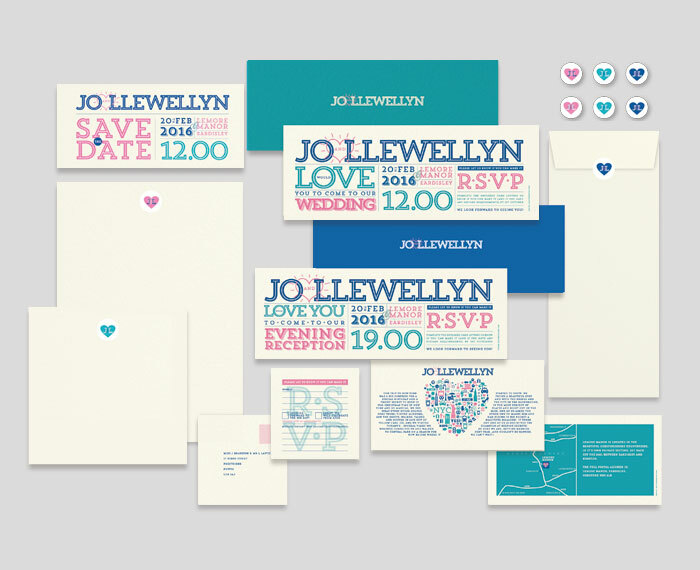 When Jo and Llew decided to get married, they wanted a unique set of wedding announcements and invitations. They asked me to to the design. Jo and Llew are a professional couple who both hold responsible positions. As part of Jo’s role, she regularly commissions design and print and, being the bride-to-be, had some firm views on the type of wedding announcement she wanted to make; it had to reflect the couple’s personality and be fun, slightly quirky, but definitely not ostentatious! 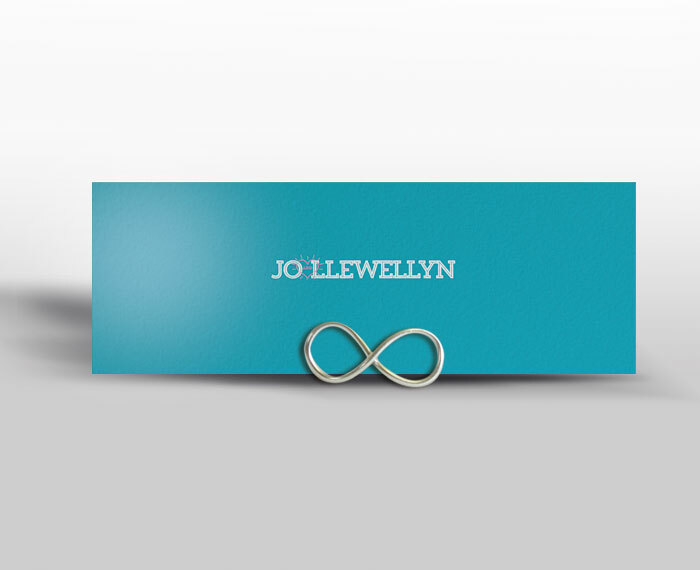 The most challenging aspect of the design was how to combine the names Jo and Llewellyn. The answer was to create an exaggerated landscape format. “Tim made the process for designing our wedding invites so easy and stress-free. We had an idea of what we wanted, something original and fun and that reflected us both. Tim managed to pull our ideas together with his own to create something so special and unique and more than just invitations, but something for us to keep forever.